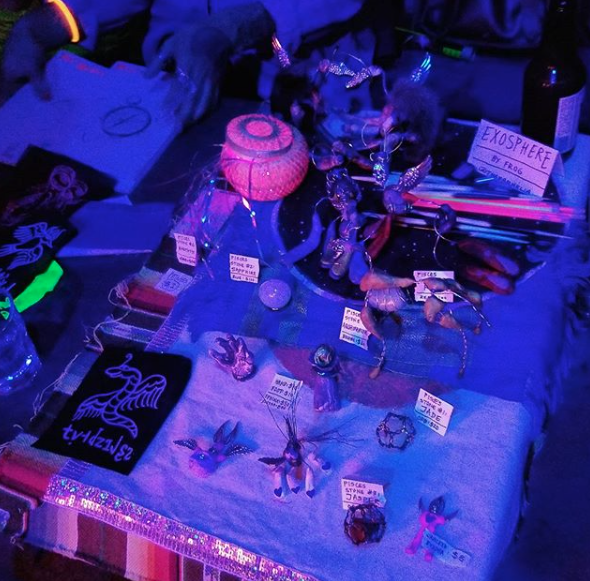 Also: if you're into astrology-themed parties, follow @_the_web_ for more... There will be 1 party every month, that's one for everyone...! We're one month into a residency session at Chinatown Soup NYC (16 Orchard St.)- January-April 2018. Planning to work on some oil paintings and puppets. Both. Two zines are also underway. They won't be ready in time for the Zine Fair, but that's worth going to anyway, especially if you're into zines. February 10th (11am-5pm). In other news... the 365videosproject is already over, that was fast! And what should i do about videos now? Keep filming? Post where? I don't even know. I started another experimental journaling account but its a secret for now because i want to see what the algorithms will bring us if nothing is said. Maybe something, maybe nothing. So... expect to see me around NY in the next few months, I'll be here until summer at least. Making preparations to begin a #slowtrainresidency project. I am tentatively titling it "ManMan Yawaarai" (Go Slowly) for now... As virtual artist-in-residence, I will be taking over the @china_residencies IG account and posting observations over the next two weeks (Oct. 30th- Nov. 15th) while traveling by train from the border of Mongolia into Yunnan Province, China. The idea is to roughly retrace the 13th-century path of conquest taken by Kublai Khan's Mongol troops- via train- and to make work as I compare historical records with contemporary evidence of life in these locations now. Proposed route: Erenhot/ Erlian (border city), Hohhot (capital city), Baotou/ Ordos (Chinggis Khan’s ashes)- Beijing (capital city), pass through Chengdu (formerly invaded city), Kunming/ Tonghai (current location of the last Mongolian-Yunnanese tribe), final destination: Lijiang (Kublai Khan’s former outpost). Preliminary sketch/ live drawing of hill composites, made from moving train (Beijing-Hohhot). Thank You: to Kira and China Residencies for hosting, and to BUFU and An Xiao Mina for sharing news about this residency opportunity! -and, finally, to weave these cultural explorations into the network fabric of American (and International) Contemporary Arts- since i am American by nationality, and that is where I am creatively based when I am not working and traveling through Asia. Honored to be working as a translator/ facilitator with BUFU (By Us For Us) during their 10-day stay in Lijiang, from October 3-11th. They are gathering interviews and footage for a documentary film series that observes Black-Asian political/ economic/ social relationships from a global perspective (with footage from Korea, Japan, Ethiopia, Jamaica, China, and selected American cities). 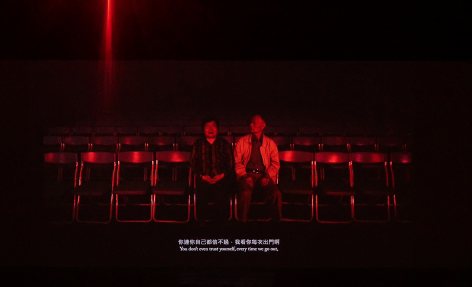 Film should be ready for screening in various locations by 2018. Oh! 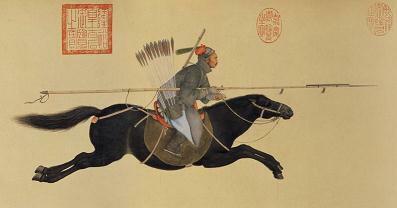 and i learned about Giuseppe Castiglione (Chinese name: Lang Shi-ning); He was an Italian Jesuit missionary who lived in 17th-century China and made these uniquely hybridized paintings... Look at the way he painted horses, dogs, and birds. An actual snail i actually saw. Bottle for scale. -DAD'S PERFORMANCES: I watched my father play with his band at Fuego, Sunmai (Long Sun Brewing), ZXDH Station for the Universiade 2017 Parade, the Senior Home, NTU Hospital, and the community center rehearsal space. That was almost a full-time job. I took it very seriously. The participative performance requires twelve spines (representing time's strokes) to be gently entwined by string. CosmiKnots is looking for people of diverse intersectional axises & across lived divisions of resource access to stand (or sit in a wheelchair) in a fixed or fluid position for max 25 minutes. Concerned with the participative politic$ of artistic production, we wish to conjure your corporal contributions outside the logics of paid capital. 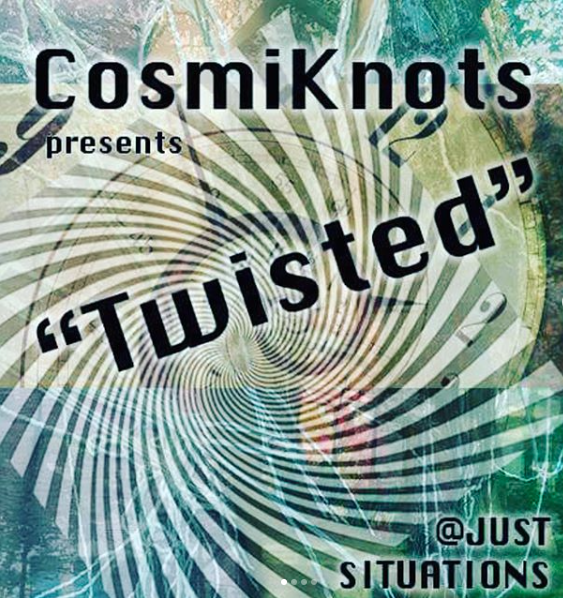 CosmiKnots invites NYC ARTISTS to PARTICIPATE in this 'JUST situation' in EXCHANGE for SHARING RESOURCES amongst each other. Is there something you NEED/SEEK to pursue your art practice that may be facilitated or fulfilled by the community? Is there something you can OFFER/CONTRIBUTE in exchange for a JUST TRADE? Moonroot and Purple is to Lavender have a table up at this event this weekend! My NuXia piece is in the most recent issue of Moonroot (#3). If you are in Baltimore, I hope you have a chance to check it out this fair, a lot of local Baltimore collectives and independent creatives are there sharing their things (and some non-Baltimorean groups too). Thanks Amy Dewan for all your good work on Moonroot and holding down the table, and thanks to @bmorekahlon , The Agency, 3DotZine and everyone else who organized and participated! Glad to see it come together, looking forward to more. "Book Show" this week in New York! 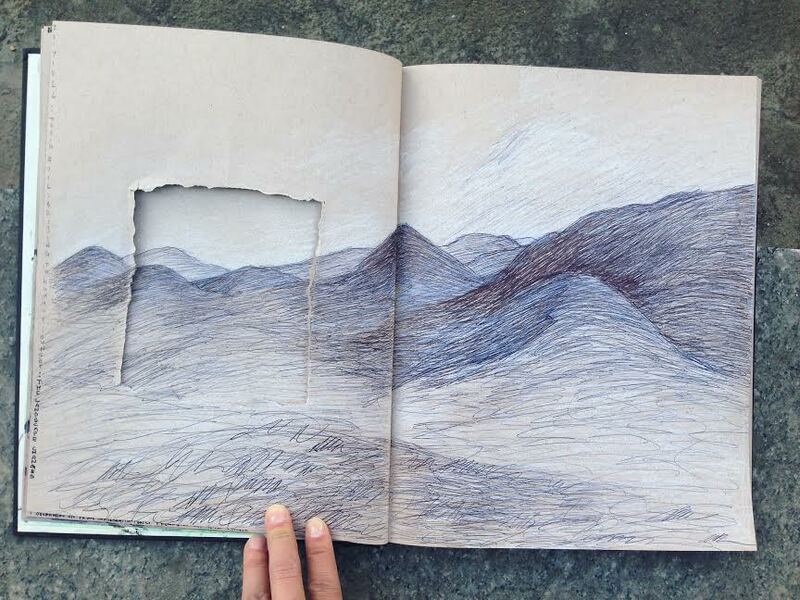 I will be outside at a different public space every day with most (or all) of the sketchbooks I've made, ever. Probably won't do this again for at least a couple of years, so if you're in town, show up, say hi! I would love to see you. 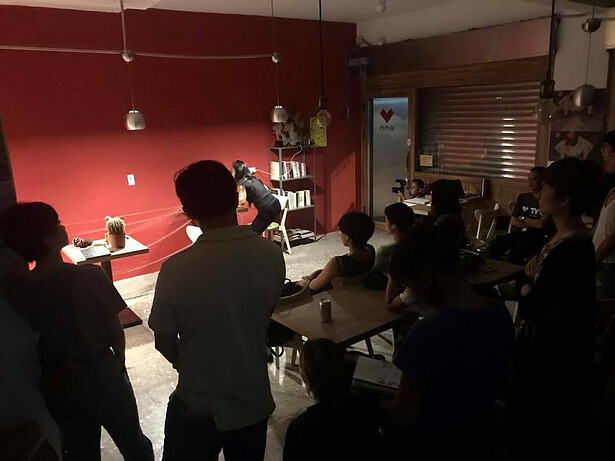 Lijiang Studio conducts an installment of Aztlan-Shangrila at the Maestra Vida school in El Tambo, Colombia (with Ernesto Salmeron, Paul Donneys, Dava Wing/ WuZhimi, and Jay Brown). Frog/ Dava Wing: bookmaking/ journaling; theater/ storytelling with "The Color Bird"
Our friend Dana is helping to organize the Lancaster Against Pipelines Fundraiser! My brother Jeeshaun and I will both have pieces up for auction. RUMUGU: A type of Nature God, the name meaning “water source.” The top halves of their bodies look like human beings, while the lower halves resemble reptiles’ tails. These deities come in twos, with a pair assigned for each of the four compass directions (North/ South/ East/ West). This Rumugu color-print is from a commissioned series called “Dabba Cards” by artist Dava/ Frog Wing (working under the name WuZhimi). 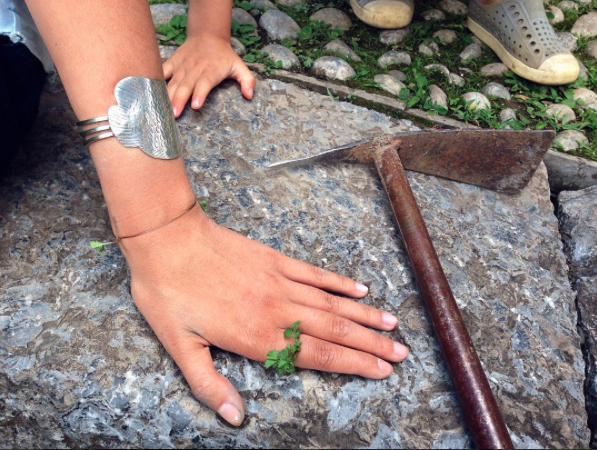 The Mosuo are an ethnic group with a traditionally matrilineal society, and Dabba is the name of their folk religion that values a balanced relationship between Humans and Nature. These paintings were based on a set of original Dabba cards that were used in rituals for expressing apology/ gratitude to water. The rituals are held near water wells, community pools, springs, rivers, or at other similar sites where human beings take and use water for daily consumption. You can find the original versions of these prints in the Dabba Ritual Room at the Luoshui Mosuo Museum, which is located at the edge of Lugu Lake in Yunnan Province, China. Lancaster Against Pipelines (LAP)- A non-profit grass-roots coalition of county residents opposing the Atlantic Sunrise Pipeline, a natural gas pipeline aiming to transport fracked natural gas from northern PA to an international export station in the Chesapeake Bay. These funds specifically will support an encampment along the proposed route of the pipeline. Just sent in my List of Items to be sold at LAZinefest this May. Our table is being organized by my brother Jee-shaun and a few of his friends. Here is what I will have for sale. Two of these zines I haven't even made yet, but, deadlines keep me on my toes. Watch out for these in a few months! Everything will be at discount prices, no shipping+ handling obvs, and, you will get to meet my brother in person. What a win. I was invited to attend the Ancient Tomorrow movie premiere at the Ahrya Theater in Beverly Hills last week, so I went my brother Jee-shaun and our friend Blake. We finally got to meet Dan Shaw (vortex detective) from VortexMaps.com. Our Molecule-Orbs are featured in this post-premiere interview with Dan Shaw, JJ Yosh, Ann Seid, and Oliver Ades. Thanks Dan! This is a Facebook "live video" so i cant repost it here on my site; here is a screenshot instead. I want to transcribe some of the commentary in this interview, for later reference, just in case. ***DISCLAIMER: To be clear, I do not think the pyramids were "built by aliens"
and I am aware that some people find the idea offensive. I do believe the pyramids were built by the human societies located in their respective geographic regions (Peruvians in Peru, Egyptians in Egypt, Chinese in China, etc). I do not believe there is any kind of conspiracy network surrounding the vortex sites, attempting to keep us from knowing some kind of "hidden truth" that we're "not supposed to know," aside the alienating language and rumors used by some of the conspiracists themselves. However, I do suspect that vortex sites around the world illuminate commonalities between our intuitive and logical processes as a species, especially what we assume is driven by/ towards divinity (or an otherwise authoritarian decree)- and that our actions unknowingly reinforce geometric planetary structures- and that these phenomena deserve further questioning and deeper investigation, especially now that we have instantaneous global communications/ travel technologies/ tense political relationships to boot. JJ Yosh brought this conversation to the big screen, and I'd love to talk more about this later, but for now here's a blog post with a couple of links as a placeholder.... TBC. See you soon. "In the time of the emperor Mu-tsung (Muzong) of the T’ang dynasty, in the ninth century, among the members of the elite corps of the imperial guard was a Japanese man named Kan Shiwa. Kan Shiwa was a most extraordinary sculptor. He could fashion any sort of bird and make it so that it could drink water, hop around, stretch out its neck and call, and so on, all in the most beautiful and charming manner. He put machinery in the bellies of the birds he made, so that besides having beautiful plumage they could also fly one or two hundred feet in the air. 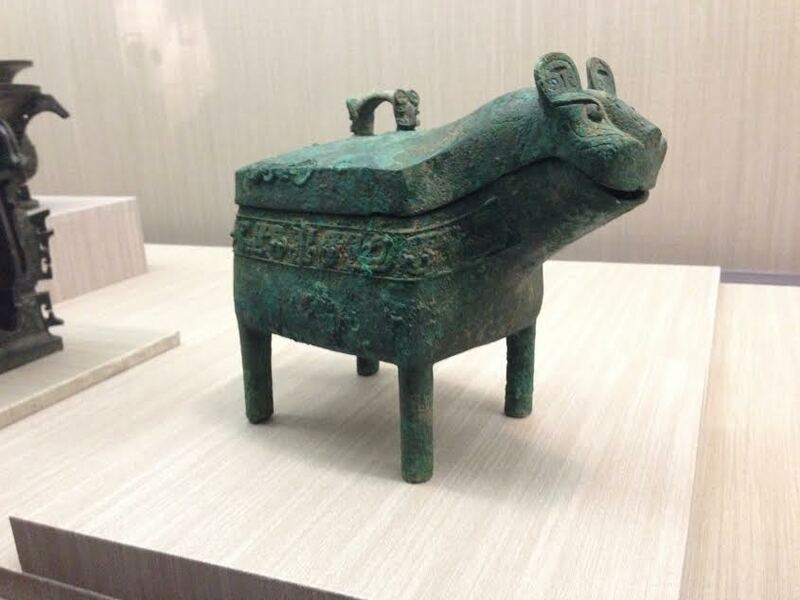 Also, Shiwa sculpted cats that could do even more; they could run around and even catch small birds. Now the captain of the guard thought this was truly marvelous, and wrote to the emperor about it. Emperor Mu-tsung summoned Kan Shiwa into his presence, and he too was captivated by Shiwa’s skill. Several days later, the dais was done. It was two feet high and looked like an ordinary footstool. When he saw it, the emperor wondered what was so special about it. Shiwa told him he would soon see if he stepped up onto the dais. Not without misgivings, the emperor stepped up. The moment he did so, a gigantic dragon appeared in the sky. It was about twice the size of a man and had scales, a mane, claws, and horns; it flew into the clouds and rode on a mist, dancing in the sky. Its energy and appearance were such that one would never think it to have been made by human hands. Strange to say, the moment he got off the dais the big dragon disappeared. All that remained was to put it back in its place. Now Shiwa apologized to the emperor for startling him so, and offered to make good by doing something amusing. The emperor, after protesting that he had not been frightened but merely surprised, asked Shiwa what he intended to fashion. 'Something small,' replied Shiwa, producing a box from his pocket. When he opened it up, inside were little scarlet bugs. 'What are they?' the emperor asked. 'Are they real?' the emperor asked, amazed by their lifelike quality. 'No, they’re manmade,' Shiwa answered. 'Then why are they scarlet?' asked the emperor. Then the emperor asked what the insects could do. Shiwa said, 'They will dance for Your Majesty. And so that we may have Your Majesty view the dance, I have invited the musicians to play 'The Song of Liang-chou,’ which is the insects’ favorite tune.' Now as the musicians prepared to play, the little red spiders scrambled out of the box and arranged themselves in five rows. They now stood in formation, waiting for the music to start. When the orchestra began to play, the spiders began a very orderly dance in harmony with the music. They went forward, then backward; the rows came together then rearrayed at angles, now suddenly shifted to form a circle. The choreography was beautiful indeed, resembling an intricate and picturesque brocade, truly dazzling to the eye. And as the music played, the spiders also made a humming sound, as loud as the buzzing of a fly, keeping time with the music. Finally, when the music ended, the spiders went back to their beginning position, arrayed in five rows; in unison they bowed to the emperor, and then went in orderly files back into the box. The emperor exclaimed his delight. Shiwa went on to explain that the spiders were, as their name suggested, indeed flycatching bugs. To demonstrate, he took one of them and placed it on the palm of his hand; pointing to a fly near a tree, he said, 'Grab it.' The spider caught the fly just as a hawk might catch a sparrow. Then spiders leaped from Shiwa’s hand to catch flies alighting on people’s shoulders, or even flies buzzing through the air. Catching the flies, one by one they returned to Shiwa’s palm. The emperor marveled at this. He gave Shiwa a big reward of silver, which Shiwa ungrudgingly gave away to poor people in the city. Now the rumor passed around among the people of the city was that Kan Shiwa was a spiritual immortal from the Isles of the Blest in the Eastern Sea. Just when this gossip reached its peak, Kan Shiwa disappeared from the imperial guard, and no one ever saw him again. Meanwhile, Emperor Mu-tsong had planted his garden with the finest and most luxuriant peonies, which filled the palace with their fragrance in season. Every evening, myriads of butterflies danced and chased each other amidst these blossoms. Strange to say, the butterflies were all golden or pearly, and their dazzling brilliance made the palace seem as beautiful as the celestial realms. Countless thousands of them appeared in the evenings, but not one was to be found in the morning. Every evening the palace ladies would vie with one another to catch these beautiful butterflies, and they found them very easy to do so. They used silk thread to tie the butterflies to their bosoms, or to their hairpins. These shining butterflies, used as ornaments, were very pretty indeed, but when morning came, they were found to have lost their sheen, so the girls took them off. Then the following evening the butterflies would come to life again, flashing their brilliant lights as they danced among the flowers. At these times Emperor Mu-tsung would roam around the garden happily, but what he liked most was to catch several hundred of the butterflies, let them loose in the palace, and enjoy watching the palace girls chase them. The emperor enjoyed this sport every evening, never tiring of it, until one day the butterflies did not return to the flower garden. Emperor Mu-tsung and his ladies thought they had caught them all, but that wasn’t so. Wherever flowers grew throughout the city, there now began to appear these strange and beautiful butterflies. They proved to be especially easy to catch among the flowers and the trees planted by poor people; and so the poor would often catch them and sell them to rich people for a high price; using the proceeds to purchase things they needed. One day the emperor went to his treasure house to get a certain dish made of gold. When he got there, he found that this precious article had already been smashed to pieces, and so had other items of gold and pearl. From the midst of the fragments he could vaguely discern the pattern of a butterfly, and at that moment realized that the missing butterflies were the work of Kan Shiwa. He immediately searched the whole treasure house, but could find no trace of the wizard. After that he had the palace and the whole capital city, from its avenues to its alleyways, searched thoroughly, but the man was never found again. And the butterflies never returned." “…’Golden Butterflies’ is about a Japanese immigrant living in the T’ang dynasty China (619-905), probably one of the many Japanese students and pilgrims who went to China during the early T’ang to learn Chinese arts and sciences for their own newly developing nation of Yamato (Japan). The name of this particular individual, Han Shih-ho (Han Shiho, or in Japanese, Kan Shiwa) would seem to indicate that he was in fact of fairly recent Chinese or Korean ancestry, as were many families among the upper classes of ancient Japan and in the craft guilds they patronized. Kan Shiwa was a master craftsman, one of the professional pursuits traditionally associated with Taoism. Although stories about him mention no details on this point, he was evidently also a martial artist, another profession with traditional Taoist connections, for he served in the imperial guard of the ruling house of the T’ang. His story illustrates a number of Taoist ideas. 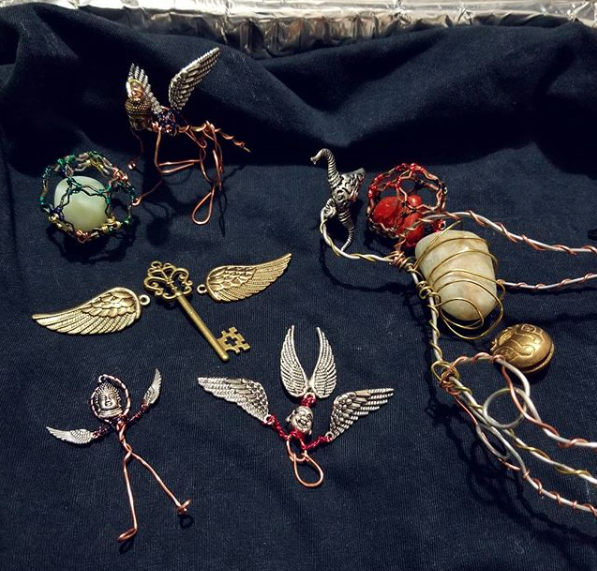 His ability to make lifelike moving replicas of insects, animals, and birds represents what is sometimes called taking over creation, the power to infuse inert matter (the physical body) with vitality, energy, and spirit. The relationship between the color of his mechanical insects and the 'food' he gives them illustrates the way personality is formed by education and environmental influences. The story of the golden butterflies represents the Taoist theory of 'equalizing things' in worldly terms, through redistribution of wealth by nonviolent means." Ghost Yak is a like a spiritual garbage truck. If/ when you hear the cymbal ringing, you can go get your garbage can of unwanted memories, thoughts, and dreams, and bring them out onto the street corner. Leave them with the Ghost Yak and it will take and carry them into the Center of the Earth and set them all on fire. And then you'll never have to worry about those things in the same old way again. Happy New Year/ best wishes for your 2017.